Our finest traditional Christmas wreath is new to our Haute Florist range. Each one is expertly handmade to perfection. A true Christmas classic resonant of the traditional Christmas made with Norwegian blue spruce. Each is hand designed with forest fresh greens to the highest standard. 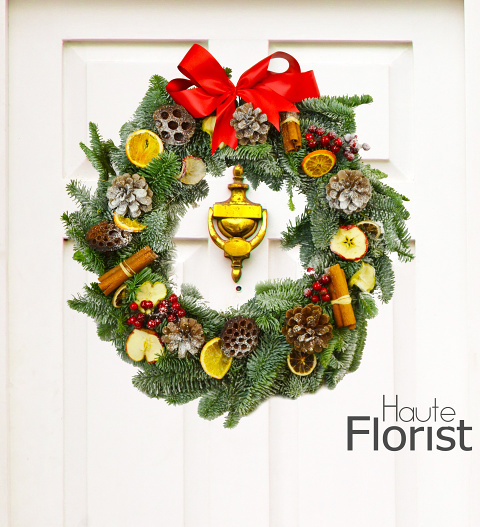 This luxury fresh wreath is handmade and exclusive to our Haute Florist range.